Texas Techies has teamed up with 4B Productions to provide affordable web design services. 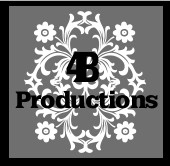 4B Productions is located in Skidmore, Texas specializing in quality web design and development. They provide personalized customer care to businesses in South Texas. They make it simple - offering professional, affordable website design packages, as well as, maintain established websites. 4B Productions offers a wide array of services such as website design, graphic design, and cloud computing. They strive to create professional websites that will effectively promote products and services. Their goal is to make your website building experience pleasant, easy, affordable, and most of all enjoyable. Contact them today and get your website started immediately!